38th Annual Vettes on the Rockies – August 4-7, Breckenridege. Corvette lovers gather for four days of events including autocross, self-guided mountain tours, and pit crew challenge ending with a Sunday Show-N-Shine of 350 Corvettes on Frisco’s Main Street. Douglas County Fair & Rodeo – August 4-7, Castle Rock. All one expects from a county fair with 4H, FFA and culinary competitions, carnival, live bands, livestock sale plus PRCA rodeos and bull riding. Teller County Fair – August 3-7. 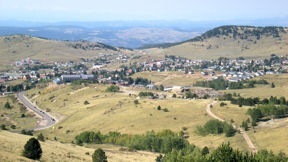 Cripple Creek. Livestock and 4-H judging, rough stock rodeo, equipment rodeo, ATV barrel racing, demolition derby and Sunday cowboy church. 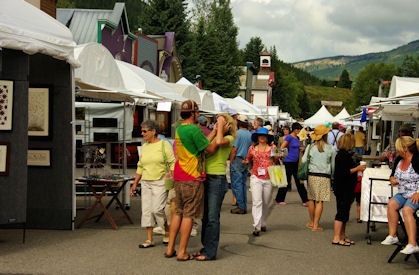 39th Annual Crested Butte Art Festival – August 6&7, Crested Butte. Elk avenue turns into an art gallery with 175 visual artists’ booths. Artist and chef demonstrations, live entertainment, children’s activities and and an art auction fill the weekend. Covered Wagon Days – August 4-7, Del Norte. Talent show, pancake breakfast, parade, kids games, live music, beer garden, mud volley ball, horseshoe tournament, airport fly-in and mud runs. 5th Annual Colorado Rocky Mountain Bicycle Tour – August 7-13, Grand Junction. Cyclers set off Sunday morning for a weeklong, 493 mile ride through the Colorado Rockies. Event ends August 13th back in Grand Junction. High Plains Chautauqua – August 2-6, Greeley. An unique blend of theatre, history and humanities at a living history festival under a big tent in the tradition of early 20th-century Chautauquas. FREE. Adams County Fair – August 3-7, Henderson. In addition to the typical county fair activities there’s a BMX stunt team, demo derby, fireworks, petting zoo and appearances by the Weinermobile and the Denver Bronco cheerleaders celebrating 107 years of Adams County. 15th Annual Bluegrass & Beer Festival – August 6&7, Keystone. Three stages of mountain bluegrass accompanied by over 40 frothy brews and down-home cooking. Leadville Boom Days & International Pack Burro Race – August 5-7, Leadville. Celebrate Leadville’s heritage with mining competitions, craft fair, live entertainment and a 21-mile pack burro race. Olathe Sweet Corn Festival – August 5&6, Olathe. Thousands celebrate the hometown crop of sweet corn at the popular family festival. 3rd Annual West Elk Wine Trail – August 5-7, Paonia. Nine wineries in the West Elk Viticultural Area open their doors for wine tasting and food parings feature ingredients grown in Western Colorado. Tour vineyards, wineries, orchards and gardens located along the North Fork of the Gunnison River near Paonia and Hotchkiss. Steamboat Wine Festival – August 5-7, Steamboat Springs.Wine takes the spotlight in classrooms and restaurants, on the mountain and around town with a multitude of ticketed events. 35th Annual Telluride Jazz Weekend – August 5-7, Telluride. World class jazz comes to Telluride featuring classic, mainstream, blues, Brazilian, African and Latin genres. Daytime session on outdoor stages with night time performances in historic concert halls and intimate clubs. 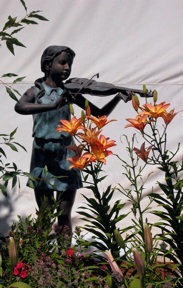 26 Annual Mountain Arts Festival – August 6&7, Woodland Park. 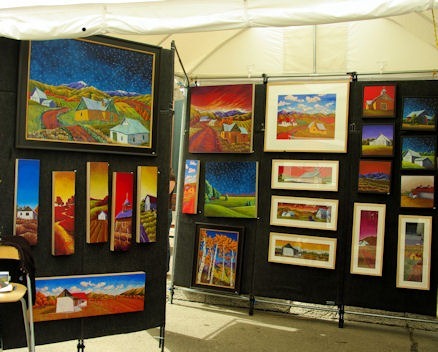 More than 75 vendors stage an outdoor fine art fail at the Ute Pass Cultural Center. This summer Colorado weekend brings county fairs, wine, tea, cherry pies and music –Americana, Celtic, jazz. Wherever in the state you are join the fun. **Arapahoe County Fair – July 20-24, Aurora. **Rocky Mountain Tea Festival – July 23&24, Boulder. **Celtic Weekend – July 23&24, Canon City. 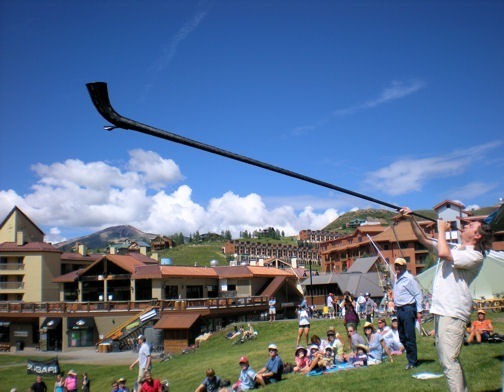 **Wine and Food Festival – July 21-24, Crested Butte. **Fiesta Days – July 23-31, Durango. **Eagle County Fair & Rodeo – July 23-30, Eagle. **Mesa County Fair – July 19-23, Grand Junction. **Cherry Pie Festival – July 23, Loveland. 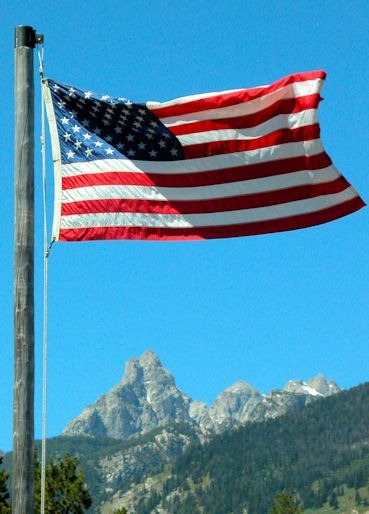 **Americana Music Weekend – July 20-23, Telluride. **Alpine Artaffair – July 23&24, Winter Park. **Winter Park Jazz – July 23&24, Winter Park. Photos courtesy of Eric Yackel. *Aspen Antiuqes & Fine Arts Fair – Aspen, July 1 – 10. International and national exhibitors showcase fine antiques, paintings, jewelry and objets d’art at Aspen Ice Garden. *Breck Bike Week – Breckenridge, July 6-10. All Breck Bike Week events are free. Join a wildflower ride, women’s skills clinic, yoga for bikers session,prime and paint your helmet. Numerous kids activities. *Little Britches Rodeo & Parade – Cedaredge, July 8-10. Rodeo contestants range in age from 8-18, with mutton ‘bustin for ages 4-8. Saturday morning parade and evening street dance. *Central City Opera – Central City, July 9 – August 6. Three more operas added to the season’s scheduled. Many special events including family-friendly focus. 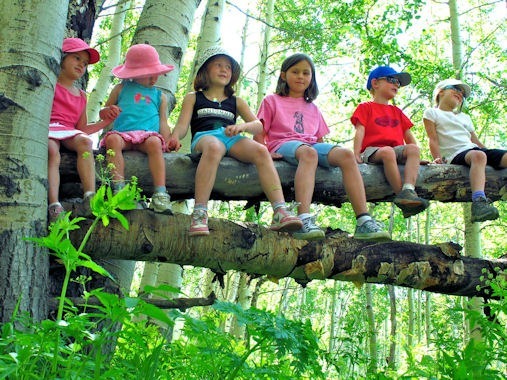 *Teddy Bear Days – Colorado Springs, July 9-10. Cheyenne Mountain Zoo highlights grizzly and teddy bears. Discount rates for kids 12 and under accompanied by a teddy bear. Bear grotto and grizzly bear demonstrations and a teddy bear clinic for those need a bit of repair plus lots of TLC. *Greenhorn Valley Arts & Music Festival – Colorado City, July 9-10. Dozens of groups play Root Music – Celtic harp to Western folk. Three dozen specialty artists – cut paper art to woodturning. Parents, check out “Circus in 60 Minutes” by The Salida Circus. 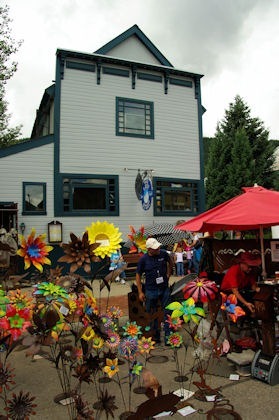 *Woodcarvers Rendezvous – Creede, July 9-15. 20th Annual gathering or carvers presents a multitude of classes for ability levels from beginners to advanced. A dozen non-carver glasses – pine needle baskets to art glass. *Four Corners Gem & Mineral Show – Durango, July 8-10. Three days of lapidary demonstrations, jewelry, jewelry making equipment, gold panning, gems, minerals, fossils and beads. *Music in the Mountains – Durango, July 9-31. The 25th Anniversary Celebration kicks off this weekend. More than 30 classic and world music concerts in the majestic San Juan Mountains. *Grand Lake Antique Boat Show – Grand Lake, July 9. Enjoy the craftsmanship of historical boat building and see the classics. *Cattlemen’s Days – Gunnison, June 8-17. Colorado’s oldest and longest running rodeo and horseshows. More than a week of dances, horse racing, parade, concert, carnival and BBQ in addition to rodeos and livestock shows. 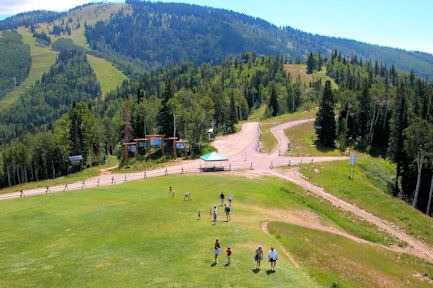 *2011 Wine & Jazz Festival – Keystone, July 9-10. Wine tastings, seminars including Up and Coming Varietals and Bubbles, Bubbles, Bubbles From Around the World, and lots of jazz – soulful bebop to smooth jazz by Dotsero. *Colorado Irish Festival – Littleton, July 8-10. All things Irish at Clement Park – food, music, merchandise, dance, culture village and Gaelic sports. 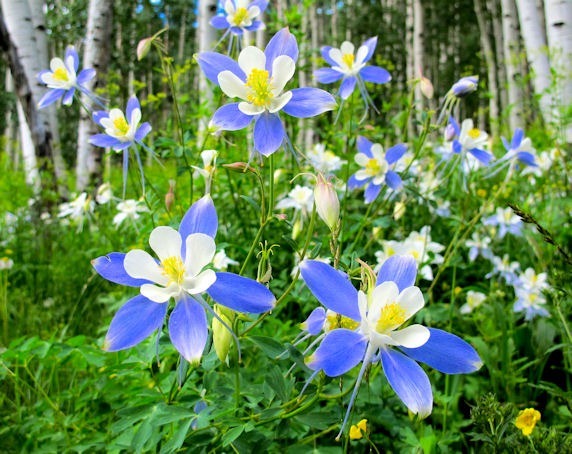 *Summer Fest in the Rockies – Loveland, July 8-10. 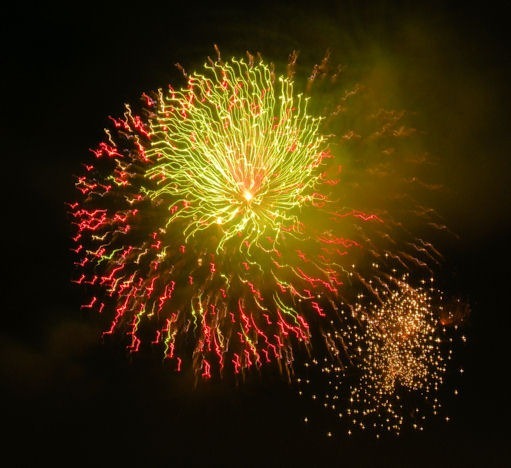 Loveland celebrates summer with events, events, events – Spirits at Sunset, class car show, fly fishing demos, kids sidewalk chalk contest, Loveland Loves Barbecue, Master’s of Magic, Saturday night fireworks, Sunday morning Songs of Joy. *San Luis Valley Folk Arts and Fiber Festival – Monte Vista, July 8-10. Demonstrations, vendors, workshops and contest in celebration of handmade and traditional arts. *Bluegrass in Paradise – Mt. 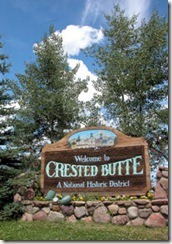 Crested Butte, July 9-10. The base area at Mt Crested Butte rings with hours of bluegrass music. Headliners include Gypsy Social Club, Ralph Stanley & His Clinch Mountain Boys and the Nashville Bluegrass Band. *Colorado Brewer’s Rendezvous – Salida, July 9. Specialty Colorado craft brewers at the 15th annual event in downtown Salida’s Riverside Park. Over 50 Colorado brews plus music and vendors, root beer for the kids and designated drivers. *Hot Air Balloon Rodeo and Art in the Park – Ste amboat Springs, July 9-10. Over 40 balloons launch each morning during the 31th annual balloon rodeo at Bald Eagle Lake. The 37th Art in the Park fills Lincoln Park, Steamboats largest art and craft festival. 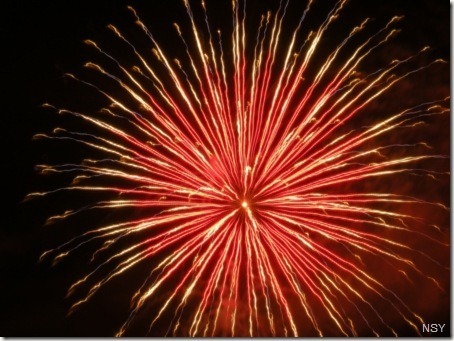 *High Mountain Hay Fever Festival – Westcliffe, July 7-10. Festival hosts Sons and Brothers welcome more than a dozen bluegrass groups. Two full days of workshops including High Mountain Hay Seeds just for kids 12 and under. *Insectival! – Westminister, July 9. The Butterfly Pavillion explores wonders and mysteries of the insect world. Bug hunt, magic shows, carnival games, bubble machine and butterfly encounter. Top photo courtesy of Eric Yackel. The first weekend of summer promises something for all tastes and interests with more than 30 major events. Join the festivities with options from art to zydeco, Shakespeare to swing, bikes to boats, beer to wine. Down River Kayak and Raft Races run through the Royal Gorge. 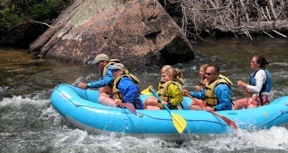 Kayak Throwdown and Raft Rodeo held at the Royal Gorge Whitewater Park in Canon City. ByOB – Build Your Own Boat Race, Duckie Dash, Raft King of the Wave and Pedal-Paddle-Battle. Live music in Centennial park Park, food and drink vendors. This June biking festival has a new name in 2011 but continues the tradition of challenge and celebration in the epicenter of Colorado mountain biking. Events include Chainless Race down Kebler Pass, Rippin’ Chix Clinics with Alison Gannett, Tech Expo, Bridges of the Butte, Clif Bar Fat Tire 40, and Mountain States Cub Wildflower Rush. Saturday evening music by reggae legion Toot and Maytals on the Red Lady Stage at Mt. Crested Butte. The biggest, most popular Cripple Creek annual event celebrates its 80th year honoring the town’s resident donkey herd – FREE. Pancake breakfast, Saturday noon parade, entertainment, contests including best beard,tobacco spitting and hairy leg. Children activities, donkey rides; and, yes donkey derby races. Japanese-American culture highlighted with music, dance, art, drumming, martial arts, Japanese beer garden; and, of course food. 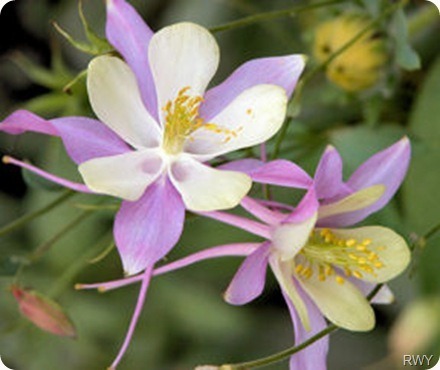 Tour the Tri-State/Denver Buddhist Temple and attend Ikebana demonstrations. FREE admission. Scandinavian traditions honor the summer solstice with raising the Maypole, folk dancing, musical performances, crafts, food and a Viking encampment. Raffle to win two round-trip tickets to Scandinavia, donated by Icelandair. Free admission. Festival highlights 32 Colorado Breweries and 58 Colorado beers. Food, fun and three stages featuring 20 Colorado bands. New format this year – advance tickets $10, $15 at the gate plus $1/each for beer sample tokens (4 oz. samples), commemorative festival mug. Fort Morgan celebrates one of its favorite sons Glenn Miller and the Big Band Era during a weekend of concerts in the park, history tours, WWII military re-enactors, champagne brunch, dances and music, music, music. Saturday night dance to the the music of the Jimmy Dorsey Orchestra and the Pied Pipers. The weekend combines the best of two worlds – German heritage and historic railroading. While passengers experience a ride on a narrow gauge train pulled by an 1880s steam locomotive the German village entices with traditional food, music, and dance. Music, music, music – Country Jam comes to the Western Slope for an incredible weekend of country music, camping, food and adult beverages under bright Colorado skies. This year’s lineup includes Alan Jackson, Little Big Town, Western Underground, Clint Black and Lady Antebellum plus more than a dozen others. With roots dating back to the late 1800s Greeley winds up for 11 days of rodeos, concerts, carnivals, mutton bustin’ in the park, Western art, monster trucks, demolition and roller derbies, parades, royalty, fireworks and so much more it’s impossible to do it all. But its easy to enjoy events of your choosing. Taylor Canyon & Almont – Sun. Water, water everywhere for the 9th annual family-friendly River Festival. Saturday starts with the River Parade followed by raft rodeo, freestyle kayaking and big tricks. New this year is a surf wave. The 2011 Hooligan event is canceled due to high water. Action moves to Almont on Sunday with races on the Taylor River. In addition to water events there’s plenty of food, beverages, music, art and “Fun Zone” for kids. Competitors are teams of working cowboys, ranch owners and ranch hands. Events center on skills traditionally required for Western ranching – bronc riding, team branding, team sorting, trailer loading, wild cow milking, and team doctoring. Plus an open horse show, Western trade show and outdoor dance. The 24th season kicks off with a FREE concert by Bravo’s new Artistic Director, world renowned pianist Anne-Marie McDermott on Sunday evening at the Gerald R. Ford Amphitheater. See the Dallas Symphony , Philadelphia Orchestra, New York philharmonic plus world-class soloists and groups.